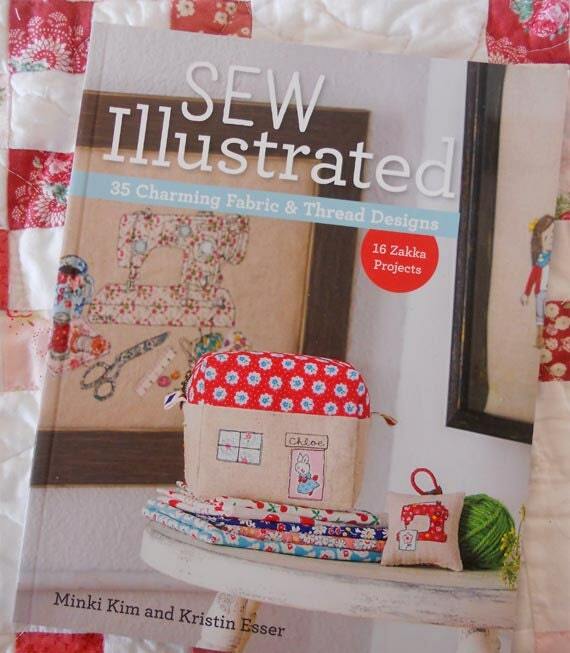 This book features 35 charming Fabric and Thread Designs and 16 Zakka projects. Zakka is the phenomenon that swept through Japan and moved into Asia. It refers to anything and everything that improves your life, home, and appearance. This book is full of 16 projects that do just that...needlecase and pincushions to keep your little sharps all together and out of the clutches and mouths of your little ones; totes, bags, and pencil cases to corral all of your markers, crayons, pencils, and chalk; hoop and framed art to pretty-fy your space. To jazz up these projects choose from 35 drawings & sketches that are ready to go on iron-on transfer paper...or if you'd like it a little more personal stitch up your own doodles or your child's masterpiece. This book is the perfect addition to a quilt library that offers up a new technique which mixes applique with thread art and quilting.